In case you didn’t notice, eyeglasses are all the rage these days. Just as braces in the '90s were considered cute (yup, we wanted them even if we didn’t need them! ), all of a sudden we’re having our eyes checked. We can’t tell anymore if these style stars have poor eyesight, or they’re just really on trend! We definitely noticed Angelica Panganiban and Arci Munoz taking their bespectacled looks out on their holiday trips, too. More than helping you get 20/20 vision; it gives your OOTD extra oomph. Here, Sofia Andres and Rhian Ramos redefine smart casual. 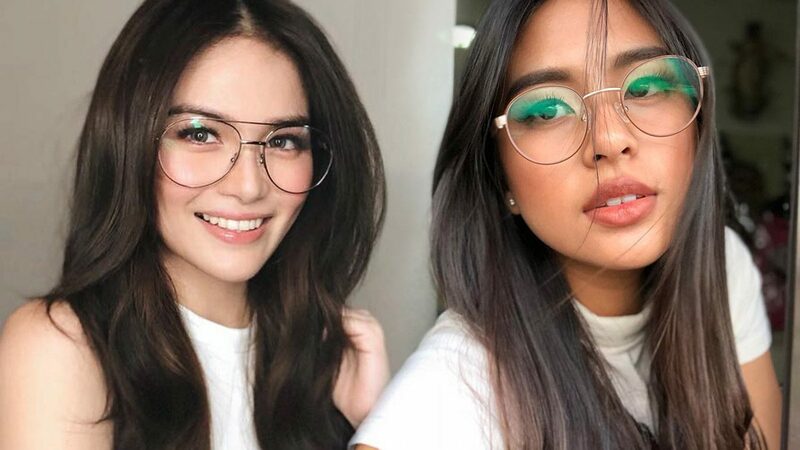 Here's friendly selfie advice from queen Pia and Andrea Brillantes: you can never go wrong with your makeup on fleek + today’s "it" accessory.